Great service. Very friendly people. I am satisfied with my pest control service. I have only used your services for less than a year but so far I have been pleased. I have had to call in between the quarterly services because the pesky moles were still around and active; my requested technician came out and treated the new mole tunnels without additional cost. Service Tech's are always friendly and ask plenty of questions to get to know what is going on with your home so they can deal with any pest concerns that you might have. Very happy with Insight Pest Control. Service was provided as previously discussed. I have had zero pest issues since using Insight Pest Solutions. very considerate and job well done Glad we have you!. Thanks. Seem to do a good job. Polite personnel. Most notable, l have fewer spiders in the summer. Couteous, professional, listened, apeared to have been thorough. The team at Insight does a very good job. We have had different technicians come and each time I am impressed with their knowledge about the products and how to get rid of pests particular to our home and the area in which we live. They have all been very polite and have a good work ethic, which can be rare these days. Whenever the techs come inside our home, they always remove work shoes or wear protective coverings. They seem to take pride in what they do. I have found them to be honest as well. We have had issues with mice and squirrels and I asked them about help with this. The tech said that currently they are not set up to address rodents, but hope to in the future. I highly recommend them! We are very pleased and the people that have come have been very friendly and polite! We hate creepy crawling things in our house! Insight makes it bug free. Thanks Insight! Deb. I am happy knowing you are coming on a regular basis to keep the pests under control! Thank you. Excellent service. We definitely saw results. Insight has been phenomenal. They have gone above and beyond for service and have taken care of all our pests - including mice! You folks have the best employees! The last guy even scooped off my front step and sidewalk. Keep up the great work and thanks! Insight does a great job. Always available as many times as I need them, with a promise to do so. Pleasant and friendly technicians wo keep me informed. Great company. We have used them for 2 years now and they are so respectful, professional and the service is great. We have noticed a huge difference and almost never see a bug, not even a spider and we live on water so they used to be pretty frequent visitors! Highly recommend this company!!! Everyone is always so accommodating! The nicest thing about this company is that they call you in advance and make sure the date or day is okay with you for before for them to come. They knock your door to let you know they starting and when they finish to see if you have anymore concern. That's what I call great customer service. I have had 3 treatments and am amazed at the results, especially with the ant hills I had in the yard! The Insight people came through the neighborhood to sign people up for service. Some thought it was a scam. I believed in the sales pitch but was nervous. After 3 visits and 4 months I am impressed. I was mostly concerned about box elder bugs. They are EVERYWHERE in the fall and you cannot even open an outside door without them coming in. My dogs would bring them in every time I let them out. I do not like to use chemicals in the environment and I try to appreciate the wilderness and outside creatures great and small. The box elder bugs where invading my territory and Insight didn't cure it completely but WOW, what a difference. It was a manageable situation. I saw them here and there but my house was not covered in a mosaic of box elder bugs. Thank you Insight! I am grateful. professional staff, friendly and knowledgeable. Treatments thus far have been satisfactory. They provided good serve and advice for our mouse and snake problems. & willing to spend the time needed. Live in the woods and there are critters of all kinds everywhere and when the cold weather hits the house used to become the Mouse Marriott. Problem reduced 98% when I started using Insight. As for the spiders and other creepy crawlers - they are well under control. Tried at least 6 other pest control firms over 20 years or so and they the only ones who have gotten the job done. Very reasonably priced too. Superior customer skills by the reps. Highly recommend them - something I almost never do. TJ Olish West Bloomington. The technicians at Insight Pest Solutions are very professional and incredibly helpful. They take time to explain everything very clearly. We are very happy with our quarterly preventative service. No ant problems since you began treatment. I'm very happy with service and the courteous service people. Very pleased with the service and follow-up. I have been impressed with the details and the great customer service I have received. They have explained a lot of details of what they are doing. I'd highly recommend. We were inundated with ants this summer, both inside and out. 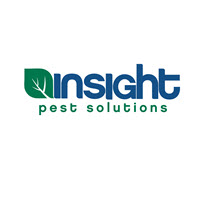 Insight Pest Solutions came and 'did their thing'! Within two weeks of the treatment, the ants were basically gone. Never saw another one in the house and just a few outside. We were very happy with the results. I like that you sweep down the cobwebs. I like the option of coming inside the house. Techs are very helpful and informative. Very responsive whenever I have an issue. Thanks for another great service!